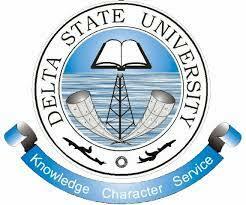 This is to inform all candidates who are yet to upload their O” Level results in DELSU portal during registration for the just concluded 2018 POST UTME aptitude test, to submit same to the Admissions Officeupon payment of a processing fee of One Thousand Naira (N1,000:00) only. Payment should be made at Zenith Bank, Account name: Delsu Recurrent and Account number: 1011434350. Candidates are expected to change the bank teller to receipt at the Bursary Department of the University before submitting at the Admissions Office. Closing date is Monday 3rd September, 2018. Created By SoraTemplates | For MySchoolsInfo Copyright © 2018.